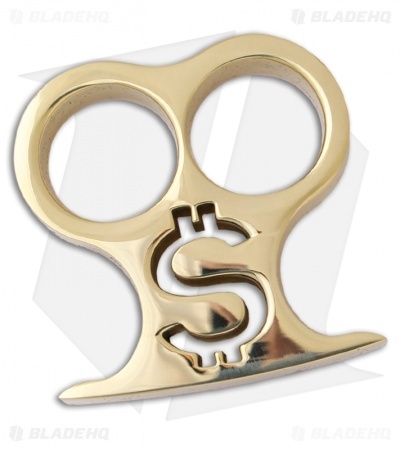 The Pay Up-Two 2-finger knuckle is cut from 1/2 inch thick solid brass and has a "$" cut-out that reflects its namesake. 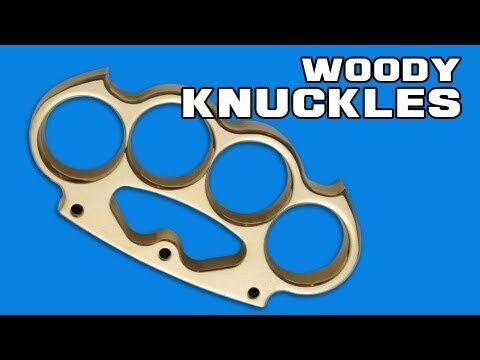 American Made Knuckles are the real thing, made from solid plates of brass! These knuckle weights are 100% USA made and are of the highest quality. Each knuckle design is spectacular and thanks to the nature of the material each has a solid feel and heft. These knuckles are sold for use as paperweights, collecting, novelty... but they are not sold for self-defense or any other use that would injure others. Please check your local laws.